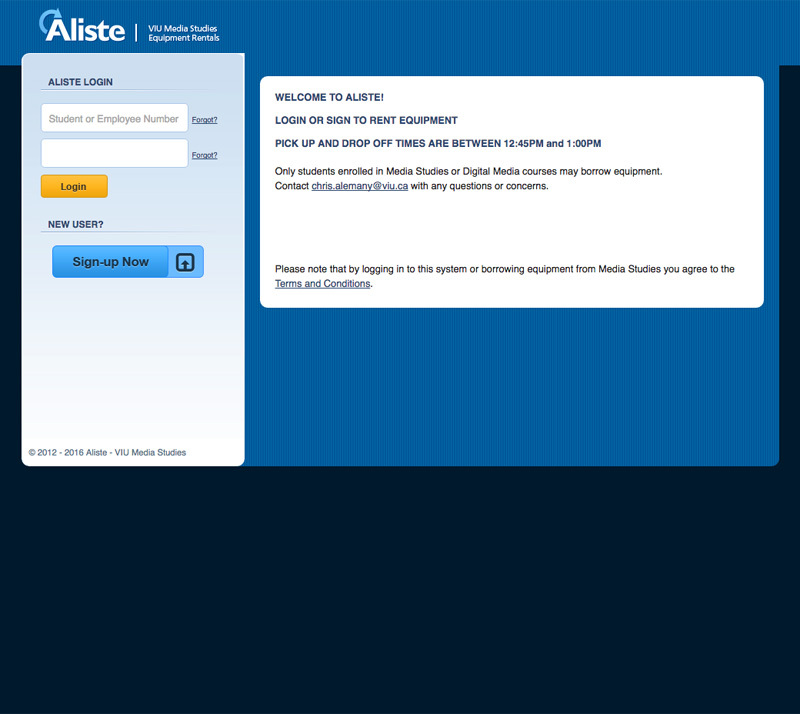 Aliste is the online equipment booking service for the Vancouver Island University Media Studies department. Students and faculty within the department use the website to book out equipment that they need for projects. This website was a re-design project for a class at VIU. Aliste had a very poor design and had many features that did not work properly. I worked on this project with two other students and we came up with a new modern and easy-to-use design for the website, as well as upgraded it to HTML5, used CSS3, and added jQuery and Ajax to search the database and book out equipment via a calendar, seamlessly without page refresh. We worked with the existing PHP fixing many bugs, including how it handles conflicting bookings, properly assigns/tracks user levels, and how it deals with weekends.